A nationwide competition to seek out early stage business talent amongst the student and recent graduate population has been launched. 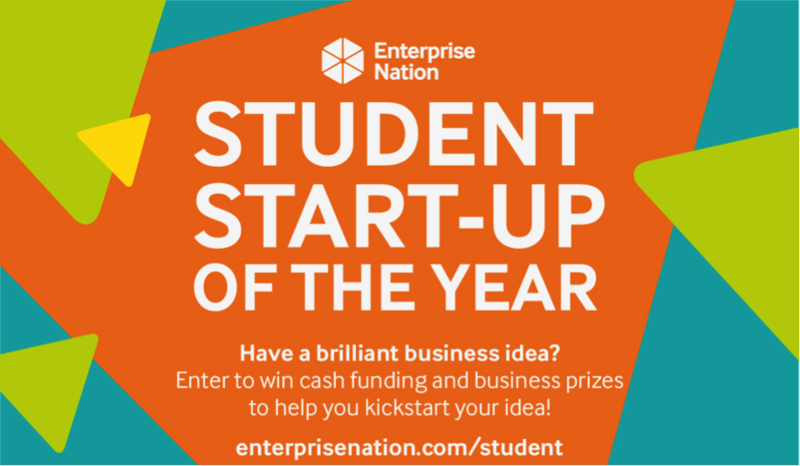 The Student Start-up of the Year Award will target and reward budding students and recent graduates with entrepreneurial ambitions – with the overall winner receiving a significant bundle of start-up support and a cash prize. The award has been launched by small business support group Enterprise Nation. “Having the ambition to start a business as part of your career path from an early age is the new normal. According to the Global Entrepreneurship Monitor, which annually examines entrepreneurship levels across the UK and globally, 3.9 per cent of the UK’s 18 to 24 age group were involved in total early stage activity (TEA) in 2015. In Wales the figure is slightly higher at 5.9 per cent, followed by Scotland at 5.5 per cent and England at 3.6 per cent. A shortlist of ten promising student entrepreneurs will be selected by the judges and there will be a live pitching session in front of expert judges. The competition opened for entries on 13 January and closes on Sunday 25 Feburary 2018. The shortlist will be announced on Monday 26 February with live pitching taking place on 9 March. The winner will be announced on 26 March 2018. Further information about the opportunity can be found here. Enterprise Trust is also supporting a series of free workshops in Birmingham and London that are aimed at young people interested in the start-up life.